In a modern world filled with sugary, fake foods, we’ve lost touch with all tastes except sweetness. Most importantly, we’ve drifted furthest away from one very important taste: bitter. We don’t like bitterness (well, except maybe in our favorite hoppy beer) compared to savory umami, the crisp taste of saltiness, or reinvigorating sour foods like citrus. It’s just not as pleasant as other tastes to most of us. But many people don’t realize bitter foods are some of the healthiest foods for us. Further, the most bitter herbs are also most powerful in terms of their health benefits—and few are more bitter than burdock root. What is burdock? Many Asian cultures are fully acquainted with the root vegetable and herb, while in some corners of Europe, it is still used as both food and folk medicine. Burdock is a large plant with wide leaves, burr-like seeds, and a long, bitter taproot full of healing qualities, bitter compounds, and nutrients. It’s native to the Old World, but naturalized to the New World, and can often be seen growing in woodlands in temperate regions. 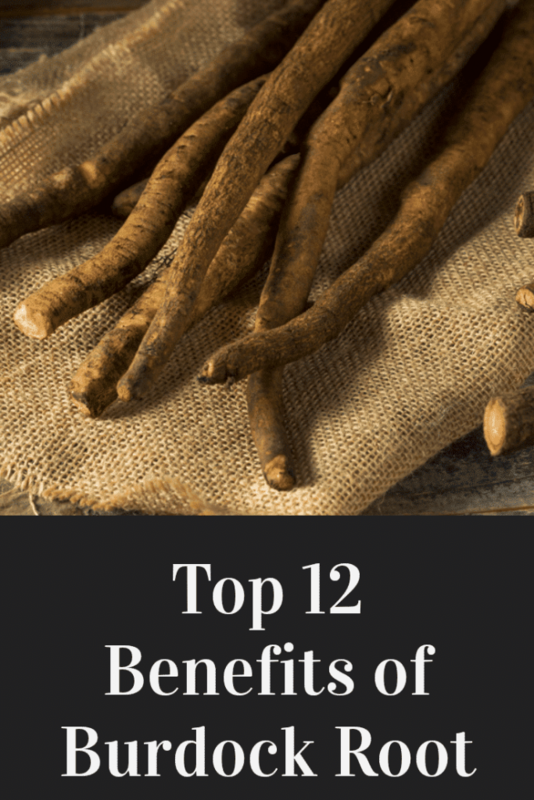 The bitterness of its root, when cooked, brewed, and tasted, reveals a rich treasure trove of healing plant alkaloids, antioxidants, and many other compounds. These are great for health as a food, but these also make burdock a plant that goes above and beyond most healthy foods as a healing herb. WHAT CAN BURDOCK DO FOR HEALTH? As it turns out, answering this question requires a deep dive into a diverse, multi-faceted list of all that burdock is capable of for wellness. From its roots in traditional herbalism to scientific research’s intense interest in its benefits currently, there’s a wealth of discoveries humanity has made about burdock through the centuries. And when it comes to exploring this list, there’s a lot of bases to cover. Curious what these benefits are? The following are some of the greatest and most highlighted burdock health perks thus far. First things first, burdock tops the list of must-have daily herbs because it has anti-inflammatory effects. This not only helps fight chronic inflammation naturally, but also many other types of inflammation— while also branching out to a wide range of other health benefits from this single action. One study in 2011 showed that burdock had anti-inflammatory effects. It specifically helped test subjects with atopic dermatitis, a painful and inflammatory skin condition. The results also showed that it reduced the activity of inflammation-involved cells in the skin. Though more research is needed (and burdock shows the most affinity with relieving skin-related inflammation), this shows great potential for burdock’s ability to deal with all types of inflammation—while new studies proving this theory are already beginning to trickle in. Closely related to its inflammatory effects, burdock appears to give a helping hand to the immune system, too. Since inflammation is an immune response, burdock’s anti-inflammatory effects actually go the extra mile to heal the immune system through inflammation reduction—thereby enhancing the way it functions. And it does this by the same cellular methods, too. A similar study to the one on inflammation and burdock showed yet again that compounds in the plant’s root helped reduce the activity of inflammation-related cells, which literally means that it helps enhance immunity. Further, burdock’s reputation for helping immune-caused skin issues such as eczema reveals an immune system-related connection. Inflammation, immunity—both, when they manifest together in a condition, can sometimes be the underlying cause of allergies. And burdock could possibly help, according to both traditional herbalism and research. The bitter root of this plant has long been used to treat allergies in folk medicine or other cultural practices. Now, science is showing some merit to these longstanding approaches. One 2015 study even showed that certain biomarkers only occurring during allergic reactions in the body were reduced and relieved with the help of extracts from burdock. This could spell good news and great hope for those with food allergies and intolerances, pet allergies, seasonal allergies, and more. What could possibly be the source of burdock’s anti-inflammatory and immune-boosting powers? The herb’s high antioxidant content could be partially responsible. Though there are numerous health-boosting compounds to be found in burdock’s healing root, antioxidants could be of the highest interest to researchers. Because these phytonutrients scavenge free radicals, they can protect ALL levels of health throughout the body, not just a few. One study found that use of antioxidants from burdock were powerful enough to help protect the liver, and to also reduce the effects of aging in test subjects. As one of many intriguing compounds and nutrients, such antioxidants secure burdock’s place as both a food and medicine. Beyond antioxidants, burdock is chock full of a whole lot more good stuff—including basic vitamins and minerals that we all need. By this, burdock is not only an herb but also a food that can help keep health in tip-top shape. Nutrition data shows that burdock contains B vitamins, dietary fiber, protein, magnesium, phosphorus, potassium, calcium, and manganese. It also has traces of many other vitamins and minerals beyond these, too. Altogether, these make burdock a great candidate for being a nutrient-rich food, especially for something plant-based. What’s more, many vitamins burdock contains are antioxidants in themselves, a great addition to its already robust antioxidant activity. This herbal root has the ability to stop bacteria, fungi, viruses, and potentially even protozoa in their tracks in addition to its immune and nutritive benefits. That’s right: a study in 2013 found antimicrobial activity in extracts of many parts of burdock, including its roots. Most particularly, it had the strongest effects against bacteria and fungi. Could this make burdock a natural herbal antibiotic? Not quite. But it could be a helpful natural support for very mild infections in the body, such as when experiencing colds and flu, stomach bugs, or fungus-caused issues. In addition to its immune benefits, this makes burdock quite a powerful healer and ally. One part of health that hugely benefits from less inflammation and antimicrobial benefits: gut health. Together, the actions in this potent herb work powerfully to help naturally improve gut health and boost digestion. Burdock is also bitter, making it a stimulant to digestion. Yet most of this traditional Asian and European medicine’s improvements to gut health come from its anti-inflammatory properties, according to one study. In it, test subjects with colitis—an inflammatory digestive condition— experienced relief with the help of a specific burdock extract. But not only that. It also helped increase digestive secretions, which improved both intestinal health as well as basic digestive function itself. 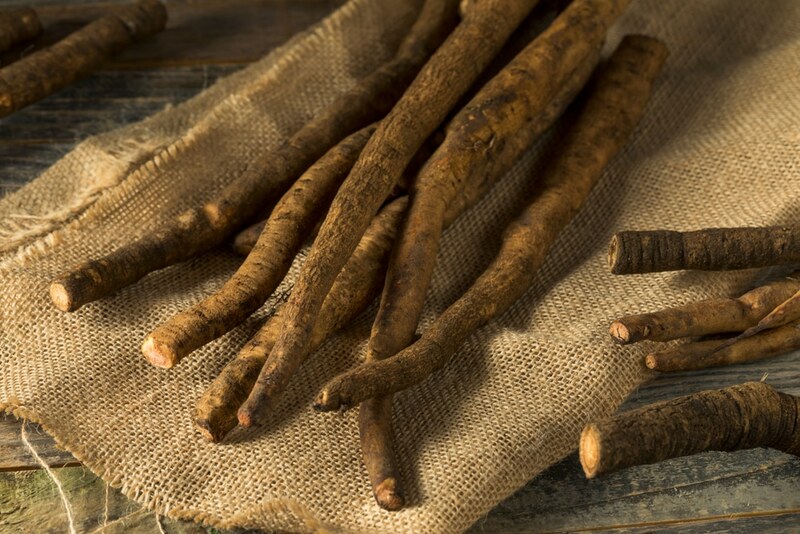 Benefits for skin health and appearance are probably what burdock has been most associated with throughout history. 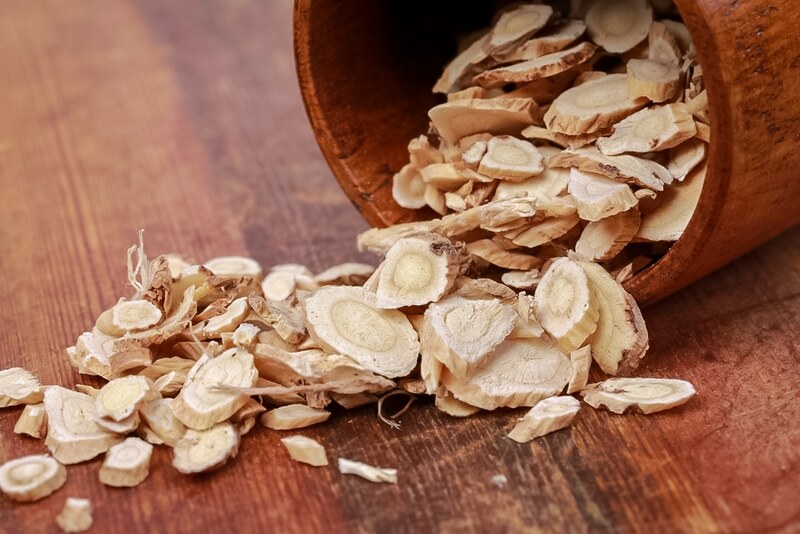 Especially in traditional healing in Asia, such as in Traditional Chinese Medicine, burdock is viewed as a “purifier” that can thus clean up skin afflictions as part of its actions. Is this just a claim from non-scientific healing practices? Apparently not. Many studies have explored burdock’s skin benefits and come up with encouraging evidence. One study even found that it could help with psoriasis, a painful and itchy skin disorder. Other potential skin conditions burdock may help include acne vulgaris, eczema (atopic), dermatitis, aging skin, wrinkles, and many others. It may surprise some to discover—and it may also be hard to imagine—that a bitter taproot like burdock could be an aphrodisiac. As it turns out, burdock has been used as an herbal aphrodisiac and reproductive health tonic for thousands of years, and among many cultures. Though many herbs are often tested for such abilities, scientists found some interesting things when they put burdock to the test. In one study, burdock was confirmed to be good for reproductive health. It helped increase fertility overall while also helping increase levels of testosterone naturally in male subjects. Scientists attributed these effects to burdock’s impressive nutrient content, including antioxidants, alkaloids, and more. Burdock’s impacts on the blood are another health benefit to be wowed by. A very recent study in fact, which took place in 2017, found that burdock was hypoglycemic, hypolipidemic, and hepatoprotective. In less scientific and confusing words, burdock can help lower blood sugars, lower cholesterol, and protect the liver through detoxification. 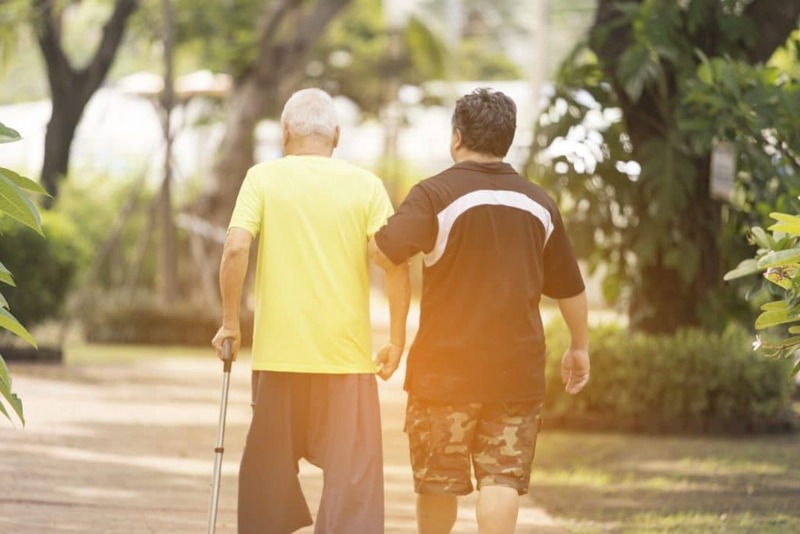 By extension, however, this means that it could also help reduce the risk of (or support those with) type 2 diabetes. But it doesn’t end there either. Improving blood health with lowered blood sugars and cholesterol means many other benefits too: such as improved heart health and lower blood pressure. Before thinking burdock couldn’t have any more redeemable values for wellness, there is also a lot of scientific evidence showing it could be great for the function of the nervous system. In fact, research shows it may even be neuroprotective. One interesting study revealed those exact type of benefits in this prickly weed. 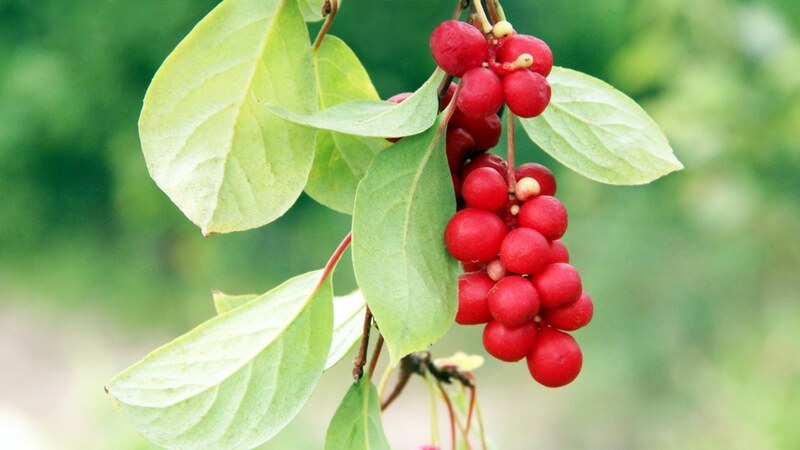 An extract of the plant showed an ability to shield nerves and neurons from damage, including from oxidative stress, which is no doubt owed to its antioxidant properties. Though more research is needed before drawing any conclusions, it’s possible burdock could help or reduce the risk of neurological disorders, including conditions like ADHD or autism. It’s early still, but research also foreshadows possible benefits for cancer in burdock. Perhaps one day, burdock could be the source of natural medicines or therapy for the life-threatening condition. After all, burdock is rich in antioxidants, which can reduce cancer risk. The fact that it raises immune function also makes it a frontrunner for fighting cancer, too. However, the most intriguing theory is due to a finding in a 2014 study that uncovered an anticancer agent in the plant. Called “lappaol F,” the burdock compound showed antitumor activity that even encouraged cellular death in cancer. More research is needed, but at the very least, burdock may be able to slash cancer risk in those who take it regularly. 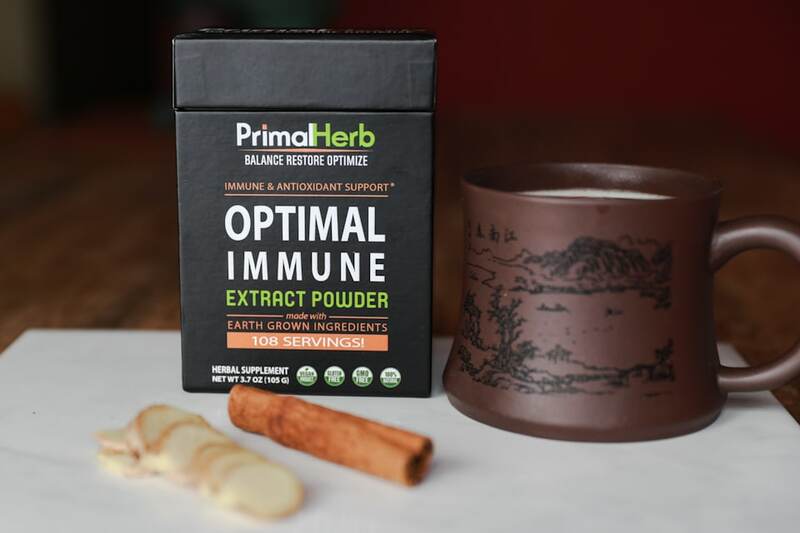 Many possible benefits like heightened immunity, inflammation-fighting, and reduced disease risk are all part of our “immunity-forward” herbal supplement formula, Optimal Immune.